You've seen our Throwback Thursdays and 5 picks of songs we think are pretty neat from non CONTROLRadioUK Artists. 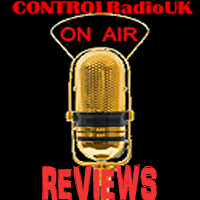 Well in this brand new feature, we're bring you 5 songs from CONTROLRadioUK Artists. These songs were chosen by our CEO/Director Trisha Benjamin, so without further ado! This might just win the sexiest video of the year award! Sean has a fantastic voice and this song is one heck of a jam. Sean Smith comes from the Energise Records family, and has been a mainstayer on the CONTROLRadioUK charts since 'Turn Me On' first came out. If you're not breaking the replay button, I am seriously judging your taste in music. Quite often I am told a song is totally me. In this case that is completely and utterly true and I have no complaints. 'Gold Days' is quite the chilled out jam which I have no problem with whatsoever, and the video has a very retro feel to it which just makes me long for the beach. This is a nice, moody jam, perfect for those long rainy nights. Glitch Code's album 'Gifted_Damage' is out now. Another really good moody number, and I do love performance music videos, they add so much to the emotion of the song.